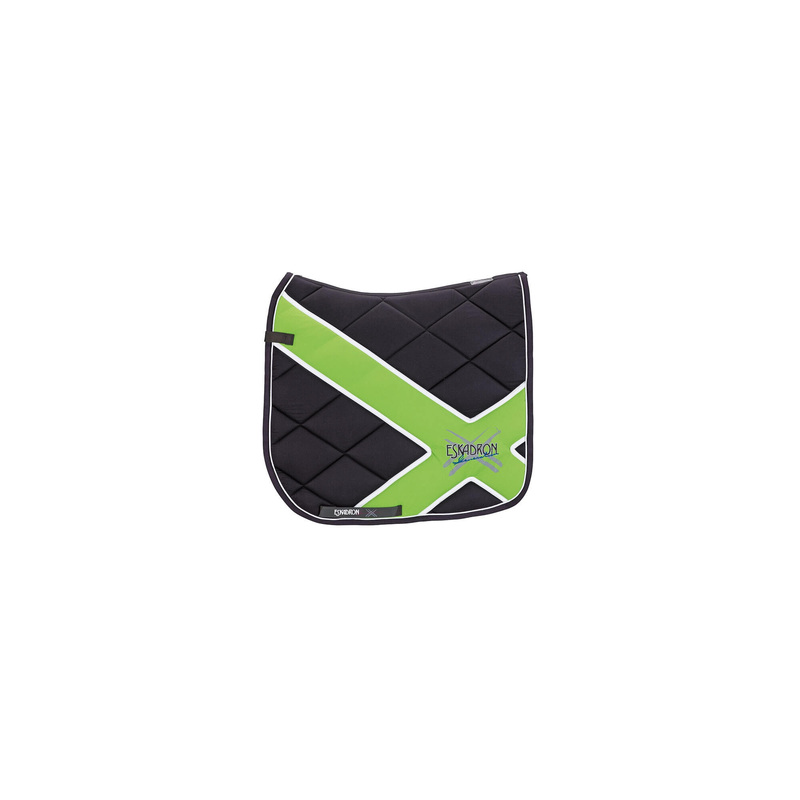 Durable, modern saddle pad in fashionable color combinations: lime green with gray, and a deep blue with gray, perfectly matching the wraps and rugs. 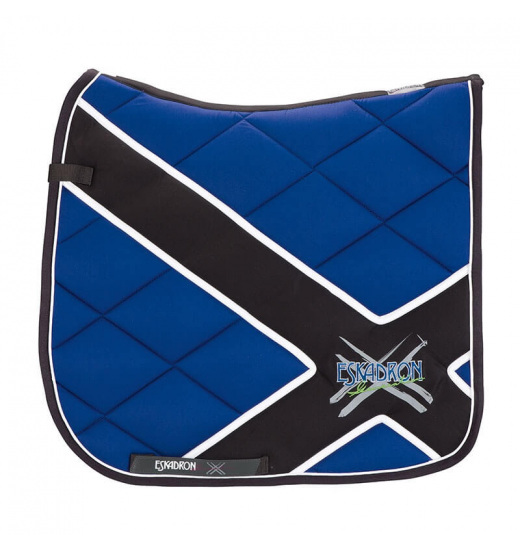 With contrasting cross, and decorative piping. 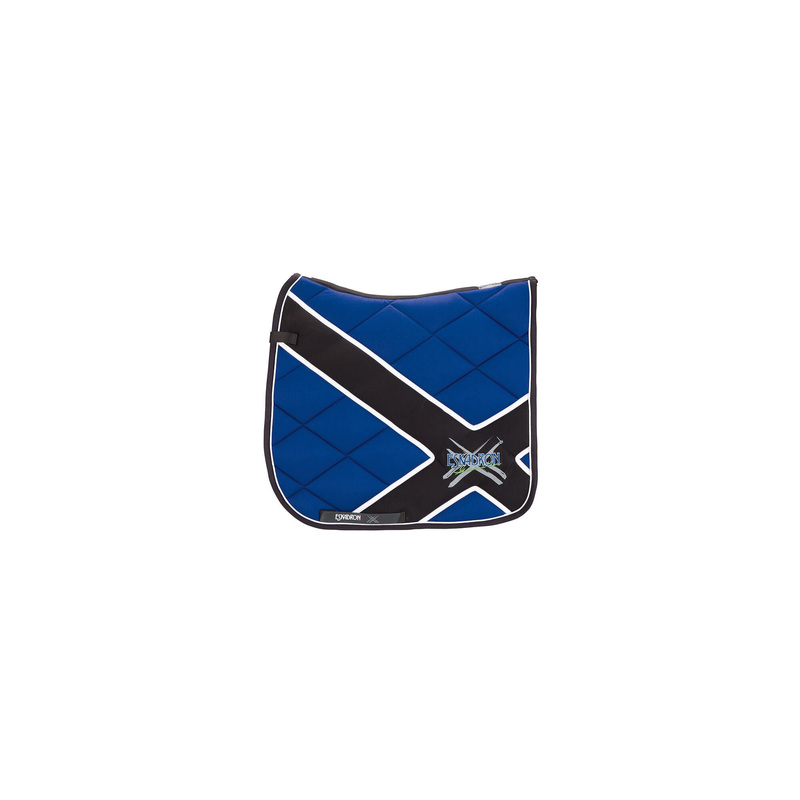 It has a large quilting and soft filling so that works even on hot days.